The ProForm 590 T treadmill has a shipping weight of 239 pounds and an assembled product weight of 188 pounds. It retails for $612.68 on Amazon.com. The 590T by ProForm comes in black and has a sleek design including the ability to fold up for compact storage. There are 16 pre-programmed workouts already set up for the user to try. The treadmill operates at speeds of 0 to 10 miles per hour and the incline ranges from 0 to 10 degrees. The treadmill can handle a capacity of 300 pounds. There is a dual grip EKG heart rate monitor and the system is iFit Live compatible. The console features a 6″ back lit display and the motor is a 2.25 CHP Mach Z Commercial Pro model. Consumers who purchase this treadmill will be pleased with the affordability and integrated technology within the system. The virtues of this treadmill include:Expansive belt size. The 20 x 55″ belt is sufficient for people with a long stride or while doing a workout that includes jogging. Accommodates multiple users. The control panel in the console allows different users to enter their personal stats. This allows for accurate calorie tracking during a workout session. Built-in speakers. People who enjoy playing their own music on an iPod or other device can plug it into the treadmill and use the high-quality built-in speakers. Quiet motor. When in operation, the treadmill is not so loud that the user has to crank up the volume on their TV or speakers in order to hear the program. This also makes it convenient to use the treadmill while other household members are asleep. Easy to assemble. The instructions included with the product are clear and easy to follow. Only basic tools are needed. Rapid transitions. When the user wants to change the speed or the incline of the belt, the treadmill does so nearly instantaneously. Good for people of low to average fitness. Someone that’s new to exercise or new to treadmills can build up to a decent level of fitness using this treadmill. Tracking fitness goals. The iFit capable technology allows users to set fitness goals, compete with others, and even create customized maps for race training purposes. Not for pros. Users who want to run at a fast pace, use a high incline, or plan to use the treadmill for an hour a day every day should look for a higher capacity system. Low capacity. The treadmill won’t accommodate users that weigh over 300 pounds. This can limit those who want to use a treadmill for weight loss purposes. Fees to use additional services. The iFit technology requires a subscription fee in order to be activated. Assembly required. If the owner wants to have the unit assembled, they must pay an additional fee. Heavy. The treadmill is heavy and requires at least two people to move it. Messy. The unit may drip grease or oil while in use. This can stain flooring unless a mat is placed under the unit. Belt wears quickly. The belt can shift to the left or right during use, resulting in excess wear as it rubs on the sides of the unit. For someone who wants to occasionally work out in the comfort of their own home, the ProForm 590T treadmill is an affordable and effective option. The user-friendliness and flexibility of workout options make it simple even for a novice to use. The workouts can be varied based upon fitness level and to maintain interest and challenge the body. 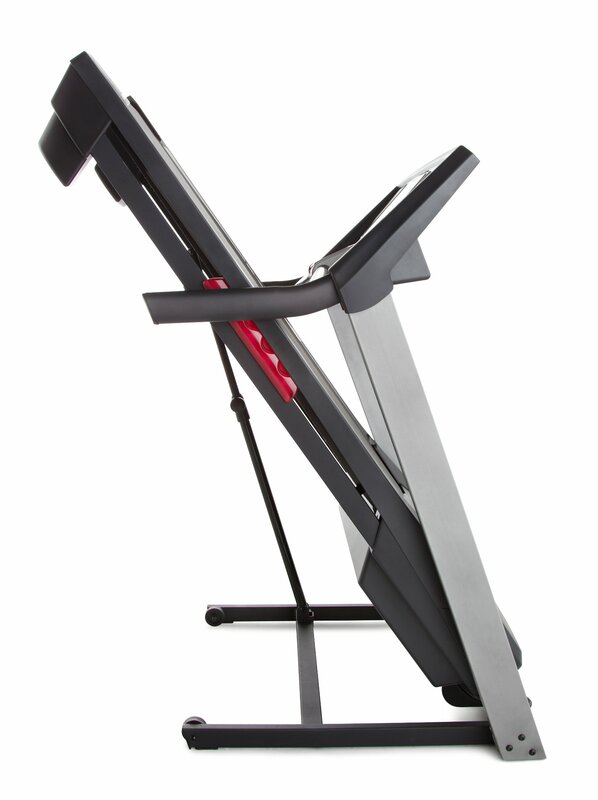 For its price range, this unit offers useful features and will help to maintain fitness and with weight loss. Those who are looking for the ability to go faster or have a steeper or negative incline could consider the ProForm Power 795 Treadmill which retails at $861.30 or the ProForm Power 995 Treadmill, which retails at $949.99.